Today, the first independent cost analysis of the American Board of Internal Medicine (ABIM) Maintenance of Certification (MOC) program was published online before print in the Annals of Internal Medicine from the University of California San Francisco and the Veterans Affairs Palo Alto Health Care System. The results of the Base-Case Analysis are remarkable: "Internists will incur an average of $23,607 (95% CI, $5,380 to $66,383) in MOC costs over 10 years, ranging from $16,725 for general internists to $40,495 for hematologists-oncologists. 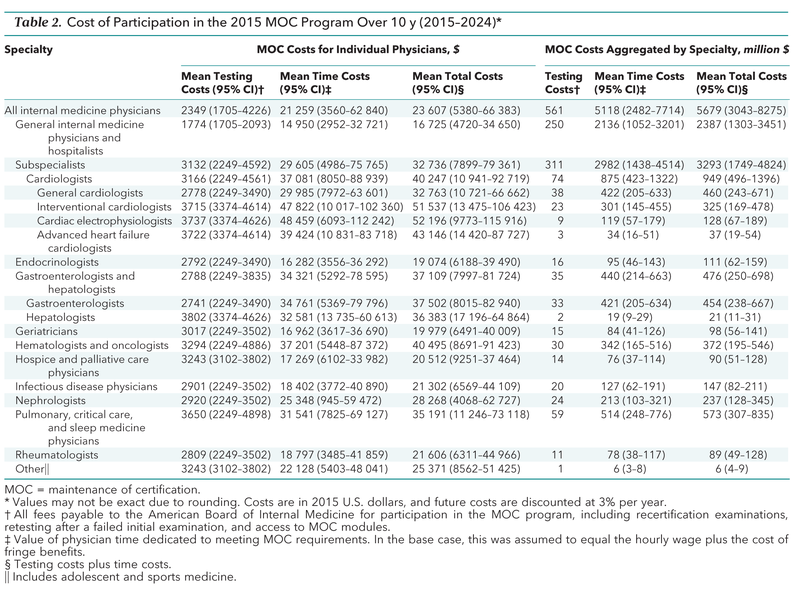 Time costs account for 90% of MOC costs. Cumulatively, 2015 MOC will cost $5.7 billion over 10 years, $1.2 billion more than 2013 MOC (emphasis mine). This includes $5.1 billion in time costs (resulting from 32.7 million physician-hours spent on MOC) and $561 million in testing costs." MOC is not an educational program based on evidence of improved patient outcomes or care quality. Rather, it is an educational program that was created by fear - fear of loss of credentials and fear of loss of insurance panel participation and payments. As such, it is inherently coercive. If there ever was a time to stop the wasting of physicians resources and time that has yet to demonstrate any evidence that the program improves patient outcomes or care quality, the time is now. Alexander T Sandhu , R. Adams Dudley, Dhruv S. Kazi. 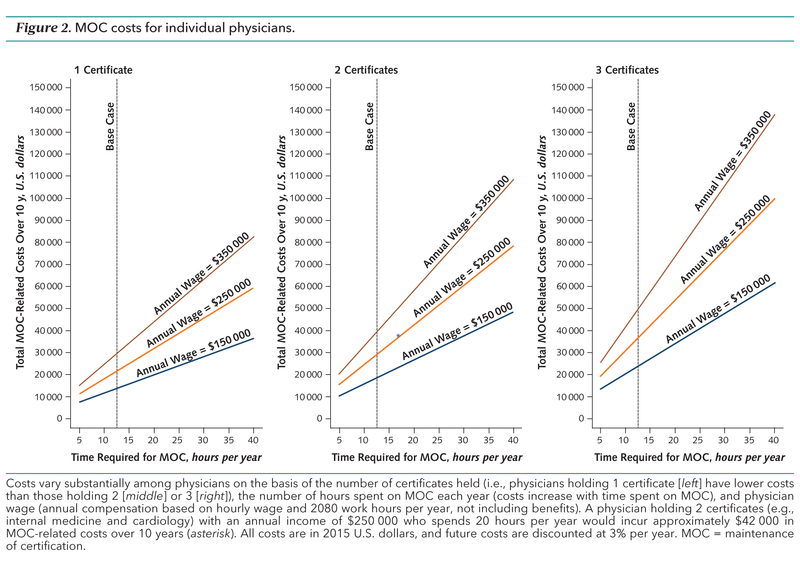 "Cost Analysis of the ABIM Maintenance of Certification Program" Ann Intern Med 28 July 2015,(), doi: 10:7326/M15-1011. Dr. Richard Baron responds to this Cost Analysis on the ABIM blog as "The Cost of Keeping Up." No public comments are taken on the blog any longer, but the ABIM is accepting e-mails. Baron's response fails to acknowledge that the authors projected ABIM will make more than half a billion dollars in ten years and that this cost estimate is ten times higher than Dr. Baron has mentioned on numerous occassions (see here and here), irrespective of the time required by physicians "to keep up." This week's issue of the Journal of the American College of Cardiology (JACC) contains an editorial from Robert Shor, MD, Chair of the American College of Cardiology (ACC) Board of Governors entitled "Addressing the Maintenance of Certification Crisis Calls for Working Together." The editorial touches on the relationship of the American Board of Medical Specialties (ABMS) and the American Board of Internal Medicine (ABIM) and that "ACC-sponsored polls have shown that the vast majority of cardiologists have concerns about the validity, relevance, utility and associated financial and opportunity costs of meeting these revised (MOC) requirements." Importantly, the editorial also mentioned several other well-known facts: that new 2014 MOC rules established by the ABIM that "required newly graduated fellows who have successfully completed their initial certifying examination to also sign up for ABIM MOC or be listed as "not certified." Fortunately for our most vulnerable new cardiologists, the ACC is pressuring the ABIM to revise this policy that financially benefits the ABIM exclusively. It seems the ABIM will stop at nothing to monopolize the recertification market for themselves. While the ACC Leadership under Dr. Shor 's direction seems sincere, his letter ignores the financial cover-up at the ABIM, specifically the fees that were funneled from the ABIM to the ABIM Foundation from 1989 to 1999, the lavish salaries of the officers and staff there, and the fact the ABIM remains has a balance sheet that is over $47 million in the red. Instead, the chooses to "be cautious because we realize the complexity of the situation." Dr. Shor continues with a half-truth, saying: "In the interim, all of us have alternatives. These include joining a new board, waiting to see the final ABIM proposal, and waiting to see if an alternative ACC board is feasible and/or needed." Because of the regulatory capture created by the ABMS and their demand for "recertification," contrary to Dr. Shor's statement practicing physicians do NOT have a choice avoid ABIM recertification. Practicing physicians cannot "wait." Practicing physicians MUST continue on their ABIM recertification pathway lest they lose their hospital privileges or aren't allowed to participate on insurance panels to receive payment for services. 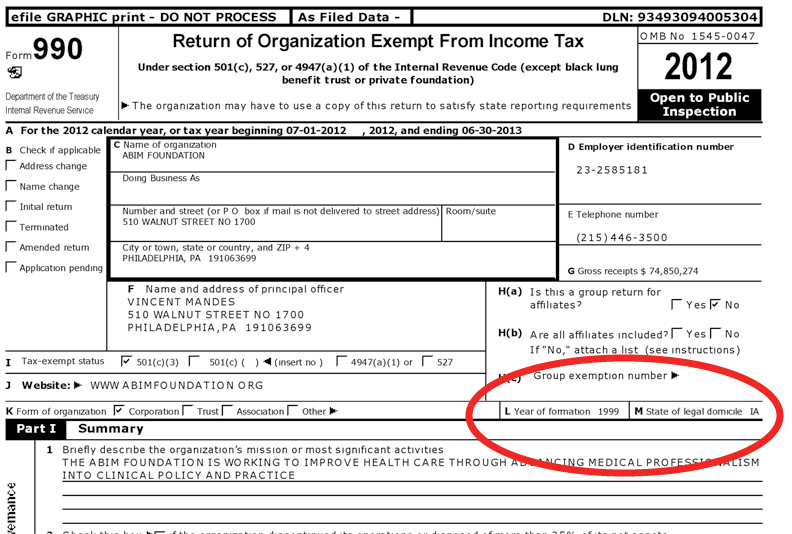 We should note that after revealing ABIM lobbying efforts that were not disclosed the ABIM's tax forms on 31 May 2015, the ABIM terminated their relationship with their lobbying firm on 30 June 2015. It is increasingly clear that the ABIM and the ABMS have constructed a lucrative money stream for themselves thanks to "recertification" at the expense of practicing physicians. Recertification after initial certification still has no Level A evidence that it improves patient outcome or care. 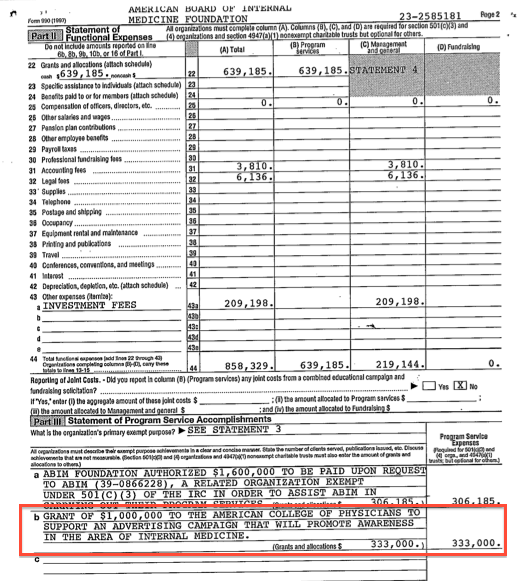 Instead, as clearly documented on this blog and elsewhere, recertification has been proven to be a corrupt and potentially illegal process that demands thorough investigation by the IRS, Iowa and/or Pennsylvania Attorney Generals, and the US Attorney General or the Inspector General of the Department of Health and Human Services. This is where the ACC should insist on action. It is simply not in keeping with the highest standards of medical ethics and integrity to collude with organizations that have shown themselves to be working in their own interests over those of practicing physicians and their patients everywhere. "Some have argued that it was important to get this data out for public review, despite it’s limitations. I respectfully disagree. I subscribe to the belief that bad data is worse than no data. Certainly the scientific literature is replete with examples that prove this correct. So is Surgeon Scorecard bad data? Strong words, but I say yes. This analysis was a great idea, but it fails to deliver on its goals. The data and methodology both have significant flaws. I say that from the perspective of a working clinician and clinical researcher with over 20 years experience, but I’d like to see a higher level of review. This project is as much science as it is journalism. Surgeon Scorecard should be peer reviewed and critically discussed as would any scientific outcomes study. As I suggested to ProPublica, we need to kick the tires." His analysis is a "must-read" for it speaks to many of the major flaws of using poorly collected and analyzed Big Data to improve medical care. How do we explain what is happening here? 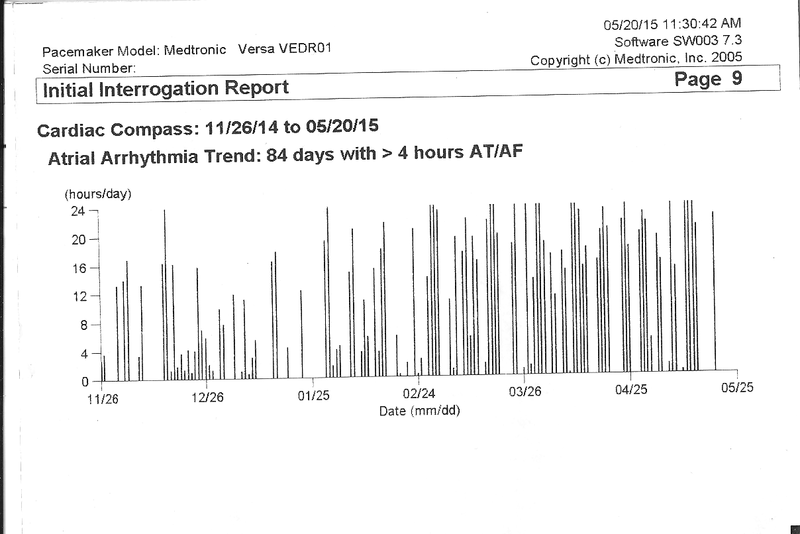 Would you revise her right atrial lead? 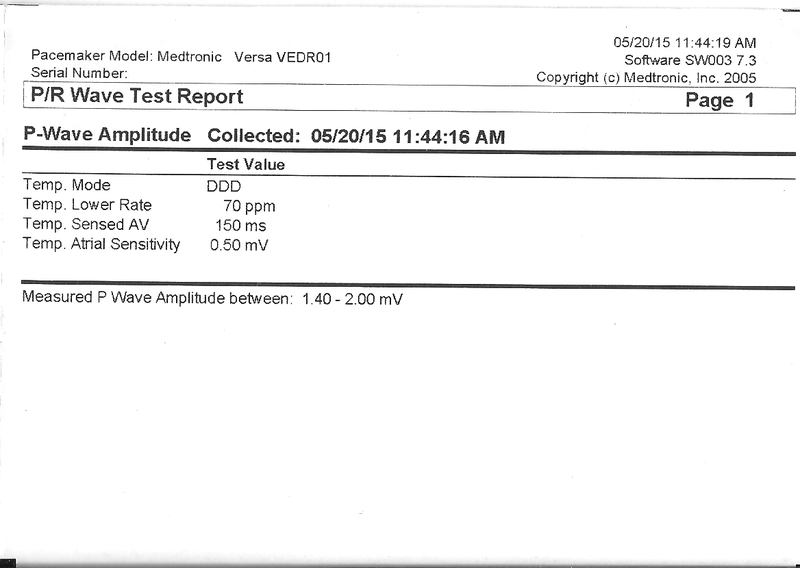 If not, what atrial sensitivity setting would you use for this patient and why? 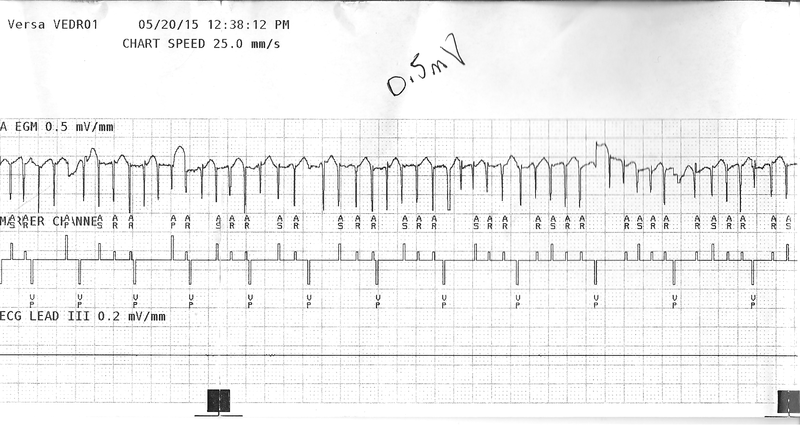 PS: Give it your best shot to see if you can explain what is going on with this patient's atrial pacing sensitivity setting. When you finally give up and want the answer to what's going on: consider clicking here. Helping the ACP Define "Professional Accountability"
Over the weekend, the Executive Vice President and CEO of the American College of Physicians (ACP), Steven Weinberger, MD, sent an email to update their members about the American Board of Internal Medicine's (ABIM) Maintenance of Certification (MOC) program. In that email, Dr. Weinberger said that "the ABIM MOC program continues to be an area of concern for many ACP members, so I'm writing to update you about ACP's ongoing work in this area and our efforts to improve ABIM's MOC process. I also want to reassure you that reforming the MOC process continues to be a top priority for ACP." 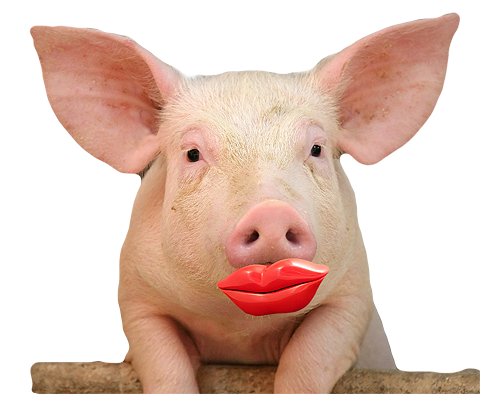 It appears the ACP is happy with applying more lipstick on the ABIM MOC pig. It is sad that the ACP, an important primary care physician professional organization, continues to side with the grossly corrupt MOC program marketed by the American Board of Medical Specialties. But the email didn't stop there. Rather than take accountability for actions like accepting grants from the corrupt ABIM Foundation that grew from the covert collection of physician re-certification fees, the ACP has instead decided to re-define what it means to be "accountable" by "updating" its "Professional Accountability Principles." By doing so, it appears the ACP continues to believe such self-proclaimed edicts will appease their membership and they should just look the other way and be reassured that the ACP has their membership's best interests in mind. Of course for practicing physicians, it now appears clear that nothing could be further from the truth. True accountability involves meaningful reform and transparency and consequences when the trust of their practicing physicians is violated. Given what we now know about the interconnected non-profit lives of the ACP, the ABMS, the ABIM, and its Foundation, we are seeing the underbelly of a patronage system that benefits the leaders of these organization with little regard for practicing physicians. For instance, does the ACP acknowledge the money they received from the ABIM Foundation to "promote awareness in the area of internal medicine" and offer to refund these funds to their members in a gesture of apologetic good will? Does the ACP offer to ask the ABIM why there is no concern of what happens to patients who lose their ability to receive care from a physician because the corrupt MOC program fails them and they can no longer practice their trade or retain hospital credentials? Does the ACP have any concern whatsoever about the unaccountable self-appointed nature of bureaucratic non-profits who can change their policies to meet their own needs instead of the needs of practicing physicians without recourse from their membership? By continuing their insistence on "reforming" the corrupt MOC program, the ACP risks becoming just as irrelevant as the ABIM. So here's my suggestion how internists can help the ACP define "accountability:" resign their membership and don't renew. Then the ACP might learn what real "professional accountabilty" as defined by their membership really means. A coordinated announcement between medical specialty societies and the American Board of Internal Medicine (ABIM) was made recently changing the American Board of Medical Specialty's (ABMS) trademarked Maintenance of Certification® program requirements (again) for select subspecialties in Internal Medicine. "Unanimously passed" by a group of well-meaning physicians in a new creation within the ABIM called the ABIM Council, diplomats in nine subspecialty areas of internal medicine will no longer need to maintain underlying certifications in those areas as of 1 January 2016. Unfortunately, you can't put lipstick on a pig. The regulatory world of medicine has become a self-reinforcing, patronage system consisting of multiple non-profits and regulatory professional organizations. When fifteen professional societies collaborate with the ABIM to spit out a sacrificial lamb in an apparent act of appeasement, practicing US physicians are supposed to relax, shake hands and move on. Appeasement is not transparency. Minimal change is not profound reform. This testing issue is just the tip of the iceberg in the exploitation of practicing physicians. The ABMS MOC® program is a complicated, intricate physician re-certification scheme that appears to be little more than a special interest employment bureau happy to shower itself with creature comforts and benefits at the expense of those who do the dirty work of patient care. As such, the MOC® program has created a corrosive divide within our profession that has even gained notoriety in the New England Journal of Medicine. It also now regulates the employability of an increasing number of physicians. The ABMS and American Hospital Association, both part of the Accreditation Council on Graduate Medical Education (ACGME), have required this unproven MOC® metric for hospital credentialing of physicians dependent on employment by those hospitals. The program has become so embedded in the medical regulatory culture that it's even found its way into our new health care reform law. When examined on this scale, removing a requirement for taking two MOC® re-certification examinations instead of taking just one seems aimed at deflecting further scrutiny. Practicing physicians need to remember that there is much more to the MOC® program than computerized educational modules, secure examinations and paying fees. The program affects physicians' ability to practice their trade and leaves physicians at risk of sanctions for revealing trade secrets of the ABMS and ABIM. Until the anti-trust suit against the ABMS and ABIM is resolved and the IRS fully investigates the fraudulent reporting of the origination date and domicile of the ABIM reported on tax forms, subspecialty organizations should not require re-certification programs created by the ABMS or ABIM. Are we holding our specialty societies to this standard? Otherwise, they're wearing lipstick, too.